This soaring review arrived in the nick of time. 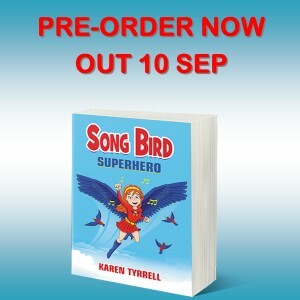 Today I planned to announce a special Pre-Order for Song Bird Superhero: an exclusive offer for you. ‘An imaginative tale that flies high. 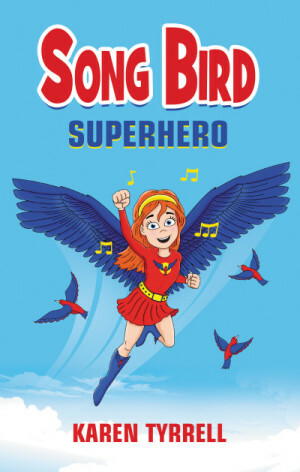 A young girl realises she’s much more powerful- and avian – than she thought. ‘Rosella Bird is inspired by two things: the flying machines of her hero, Leonardo Da Vinci and music. 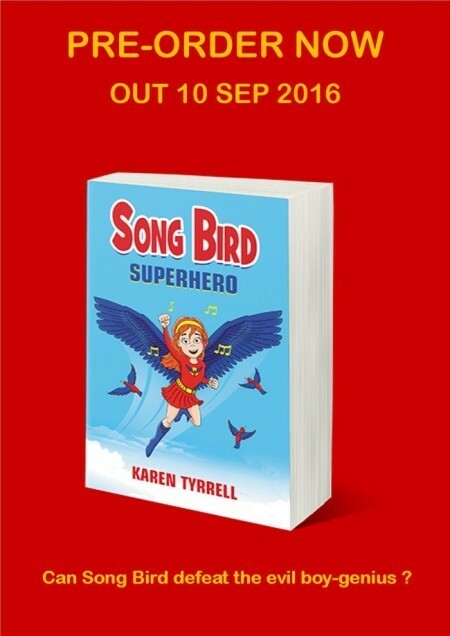 To celebrate my incredible Kirkus Review, I’m offering an exclusive edition of Song Bird Superhero (Song Bird 1) by Karen Tyrrell. How does bullied girl, Rosella Ava Bird defeat the evil child-genius? 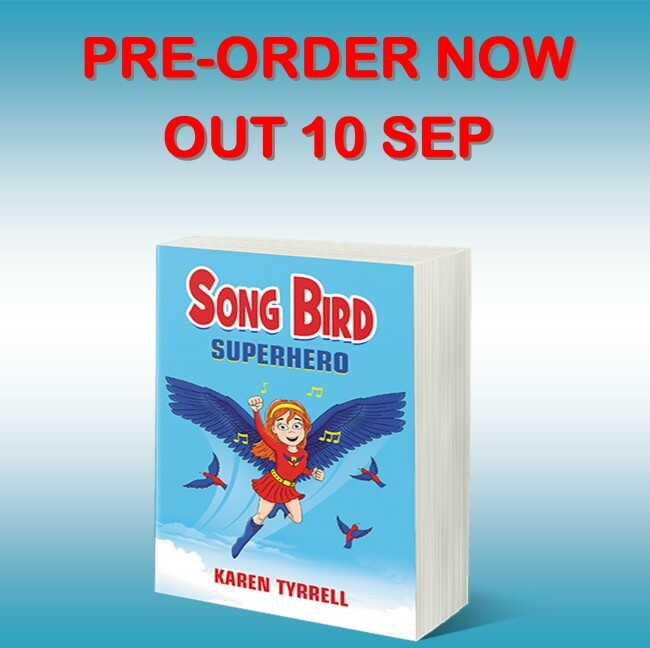 Buy an exclusive signed copy of Song Bird Superhero with a limited edition stamp. PLUS an exclusive numbered certificate signed by the author. Includes FREE shipping anywhere in Australia. Can you please SHARE this incredible NEWS with your friends? Well done Karen for this Kirkus review. Its so positive and I know Kirkus give tough assessments of writers works. I have an Uncle who writes adult Fantasy books and his first Kirkus review was good but a bit biting as well, tough ctitic.I think you did great and Songbird certainly sounds intriguing and I’m sure my 8 year old will be keen to read it. I’ll be putting my pre order in soon, good on you. Thanks for checking out my Kirkus Review. I started to cry when I received the review yesterday. Thanks so much for your incredible support. Can’t wait to send you an exclusive copy soon. This is awesome, Karen. Well done!